"Keep things as simple as possible to avoid over-complicating what is essentially a straightforward goal – to achieve positive media coverage for clients. The mission is to help promote businesses and organisations in all the right places." A former newspaper journalist for 24 years, Duncan moved into PR in 1999 after editing the County Times & Express & Gazette newspapers – the main weekly titles in Mid Wales - for five years. His main reason for leaving the newspaper industry was a desire for a new career challenge. There was also the small matter of his wife, Jacci, giving birth of twin sons. 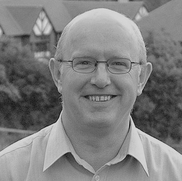 His successful PR business predominantly focuses on companies based in Wales and Shropshire. His motto is to keep things as simple as possible to avoid over-complicating what is a a straightforward goal – to achieve media coverage for a client. Duncans wide-ranging work entails media campaigns, researching and drafting press releases, media liaison, lobbying politicians, event management, organising photocalls, website content advice, social media and newsletters. Duncan has extensive PR experience of the food and drink, health, education and training, catering and hospitality, insurance and financial services, manufacturing, tourism, farming, property, fine art, gaming and telematics sectors. His contacts extend from local newspapers in Wales to the national print and broadcast media, trade publications and digital media. Duncan Foulkes PR uses only the most creative photographers, ensuring that photography to support his work is of the highest quality.